With recent developments, the number of pending criminal charges against David Jungerman has now thinned to the point that the only substantive case Missouri prosecutors have against him is the Thomas Pickert murder case. Of course, the Pickert case is the big one, and all indications are that KCPD detectives presented Jackson County Prosecutor Jean Peters Baker with an iron-clad case. Detectives gave Jungerman — who thinks he’s smart but is actually an idiot — a false sense of security by saying he wasn’t a suspect. Left to his own devices, Jungerman placed a noose around his neck by running his mouth, including into a running audio recorder. Nevertheless, it’s disturbing to see the other two criminal cases against him slipping away. First, in the spring, came the dismissal of the attempted burglary case. The Vernon County prosecutor gave no public reason for dismissing the case, but it dragged on for two years and was getting stale. Then, last week the Jackson County prosecutor’s office dismissed two of three felony counts against Jungerman in connection with his March 8 confrontation of two people he believed had stolen pipe from his northeast Kansas City business. Jungerman chased the two in his truck and caught up with them at a metal recycling facility, where he pointed a handgun at both people — a man and a woman — and fired what he called a warning shot in the vicinity of the man. The ironic part of that case is that Jungerman was on the phone with 911, reporting the theft and the confrontation, as it was unfolding…Like I said, he fancies himself smart. As it turned out, the man Jungerman confronted is a longtime, petty thief and probably had stolen the pipe. He — “the victim” — is facing charges unrelated to the Jungerman case, and, as I understand it, the prosecutor’s office was unwilling to offer him any concessions in return for his prospective testimony against Jungerman. Faced with an uncooperative lead witness, the prosecutor’s office dismissed two of the three felony charges against Jungerman, leaving just one felony charge of exhibiting a weapon and a misdemeanor assault charge. As a result, where Jungerman once faced the prospect of up to 22 years in prison in that case, he now faces only two to four years on the remaining felony charge. In addition, the case, which had been scheduled to go to trial today, has been continued to next April. …The way the stolen-pipe case is developing — maybe I should say collapsing — I fear it will ultimately go the way of the Nevada, MO, case. Despite the fact that the murder case has shown no signs of cracking, I felt a lot better when Jungerman was boxed in by what appeared to be three strong felony cases. Now it’s down to one major felony case, and, as the Nevada and stolen-pipe cases have shown, you never know what’s going to happen with criminal cases. All we can do — “we” who want to see justice served — is keep our fingers crossed that the state’s case will hold up and that Jungerman will be convicted of gunning down an innocent man in his front yard last October after walking his two young sons to school. This is one “wise guy” who can never again be out on the streets. There are two ways of dismissing a case, one dismisses it permanently and the other allows for resubmitting the charges. I suspect the prosecutors have done the latter. 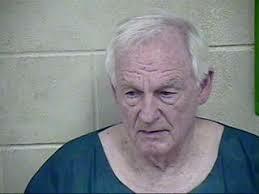 It will probably be over a year for the trial to start and a year is a long time for an 80 year old man to rot in jail. He may never live to stand trial. Right you are on the two types of dismissal — “with prejudice,” in which case the charge cannot be refiled, or “without prejudice,” where charges can be refiled. I don’t know which way the prosecutors went in either the Nevada or the stolen-pipe case. A lot of what I know about the law, including with / without prejudice, I learned from “Law & Order.” That may sound humorous but I always thought it was authentic and very well done. So, Jim, the type of dismissal is not part of the public record? The wheels of justice do grind slowly. It must be tortuous for the families. It may be part of the public record, Gayle, but in order to get access to the actual filing documents — not just the headings, like “Dismissal of Count 1” — I can’t tell what type of dismissal it was. That entails going down to the courthouse and getting a Circuit Court clerk to log me in on her credentials. I’ve done that many times, but I didn’t have time to do it today. I’ll check it next time I go down there. It could be important, depending on what happens with the murder case.